My name is Bob Adams, and I’m a knowledge addict. Our knowledge has “cursed” us. The Heaths recount a famous study done in 1990 by Elizabeth Newton as she earned a PhD in psychology at Stanford. She created a simple game in which she assigned people to one of two roles: “tappers” or “listeners”. Tappers received a list of twenty-five well-known songs, such as “Happy Birthday to You” and “The Star-Spangled Banner.” Each tapper was asked to pick a song and tap put the rhythm to a listener by knocking on a table. The listener’s job was to guess the song based on the rhythm being tapped. The listener’s job in this game is quite difficult. Over the course of Newton’s experiment, 120 songs were tapped out. Listeners guessed only 2.5% of the songs: 3 out of 120. The real revelation came by what happened before the tapping game: When Newton asked the tappers to predict the odds that the listeners would guess correctly, they predicted the odds at 50%. The problem is that the tappers have been given knowledge (the song title) that makes it impossible for them to imagine what it’s like to lack that knowledge. When they’re tapping, they can’t imagine what it’s like for the listeners to hear isolated taps rather than song. That, my friends, is the Curse of Knowledge. Once knowing something, it becomes difficult for us to share our knowledge with others, because we can’t readily re-create our listeners’ state of mind. Becoming an expert in something means that we become more and more fascinated by nuance and complexity. That’s when the Curse of Knowledge kicks in, and we start to forget what it’s like not to know what we know. Novices at anything perceive concrete details as concrete details. Experts perceive concrete details as symbols of patterns and insights that they have learned through years of experience. Because they are capable of seeing a higher level of insight, they naturally want to talk on a higher level. That, most likely, leads to communication problems. When you have worked for years in your particular area of specialty, it’s easy to forget that a lot of the world has never heard of your particular area of specialty, or at least at the depth you want to discuss it. It’s easy to forget that you’re the tapper and the world is the listener. 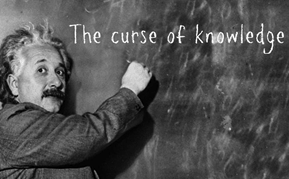 How can you overcome the Curse of Knowledge? Giving our audience permission to ask “Why” as many times as necessary helps to remind us of the core values and principles that underlie our ideas and forces us to backtrack to the foundation of our passion. Stories can almost single-handedly defeat the Curse of Knowledge. Stories have an amazing dual power to simulate and to inspire. Look for the good ones that life generates every day to get to the heart of the issue. …I’ve just got to remember that I’m a tapper, and you’re a listener. 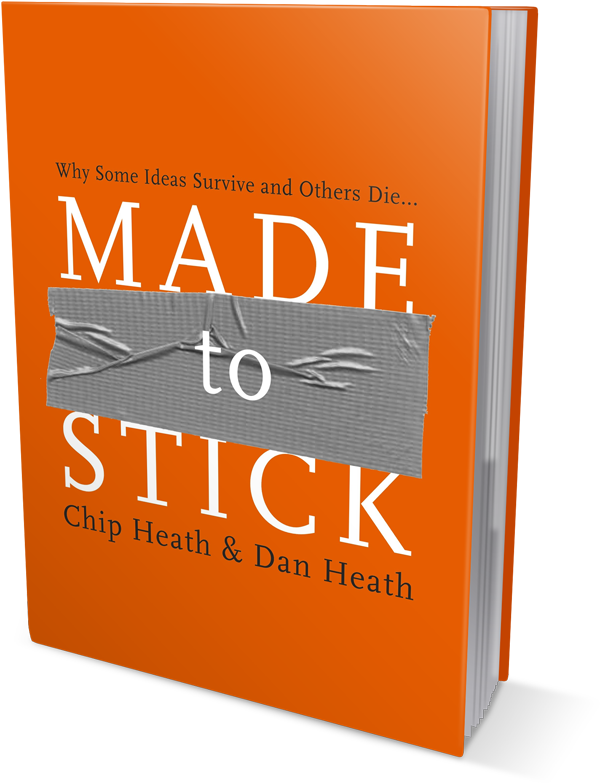 This entry was posted in BookNotes, Communication, Leadership, Personal Development and tagged Chip and Dan Heath, communication, Curse of Knowledge, Made to Stick, Story, Why. Bookmark the permalink. ← Is It Time for an “Orange Revolution” in Your Organization?